Bonikowsky, Laura Neilson. "St. Patrick's Day in Canada". The Canadian Encyclopedia, 25 January 2019, Historica Canada. 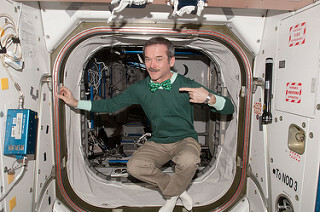 https://www.thecanadianencyclopedia.ca/en/article/everybodys-irish-on-st-patricks-day-feature. Accessed 19 April 2019. Perhaps the best-known Irish tradition is St. Patrick's Day, which is celebrated in Canada with parades, music and more than a few pints in the many Irish pubs across the country. What is the common point between Father of Confederation Thomas D'Arcy McGee, Benjamin Cronyn, first Anglican bishop of Huron, Edward Blake, Ontario's second premier, Eugene O'Keefe, founder of O'Keefe Brewing Co, former senator Eugene Whelan, former prime minister Brian Mulroney and former premier of Québec Jean Charest? These prominent Canadians have more in common than a place in Canadian history. They, like nearly four million Canadians, are of Irish heritage. Perhaps the luck o' the Irish contributed to their success! When we observe St. Patrick's Day on March 17, we do more than honour St. Patrick, who promoted Christianity in Ireland; we celebrate the Irish presence in Canadian history. Some argue that Irish explorers like Brendan the Brave arrived in Canada before the Norse. With little evidence to support their claims, this may be so much blarney, but it does not diminish the significance of the Irish who began coming to Canada in the 17th century. Though the Maritime Provinces have strong links to Ireland, the strongest Irish-Canadian connections are in Québec, where 40 per cent of the population claims Irish ancestry. Canada's port of entry was Québec City. Many Irish immigrants, lacking the resources to travel further, settled in the area, integrating with the French-speaking population. They bridged the cultural gaps between the French majority, whose religion (see Catholicism) they shared, and the English minority, whose language they spoke (see English-Speaking Quebecers). 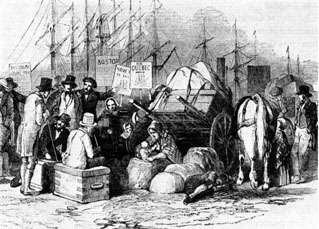 The largest influx of Irish immigrants began early in the 19th century, when a deteriorating economy and growing population wreaked havoc in Ireland. The Great Famine of the 1840s drove approximately two million people out of Ireland, hundreds of thousands of them to British North America. The preferred destination was America and thousands of Irish who came to Canada left by 1860. The "famine Irish" who survived provided cheap labor to fuel the economic growth of the 1850s and 60s. Like all of Canada's immigrant settlers, they persevered in the face of adversity, establishing themselves in all areas of Canadian life. 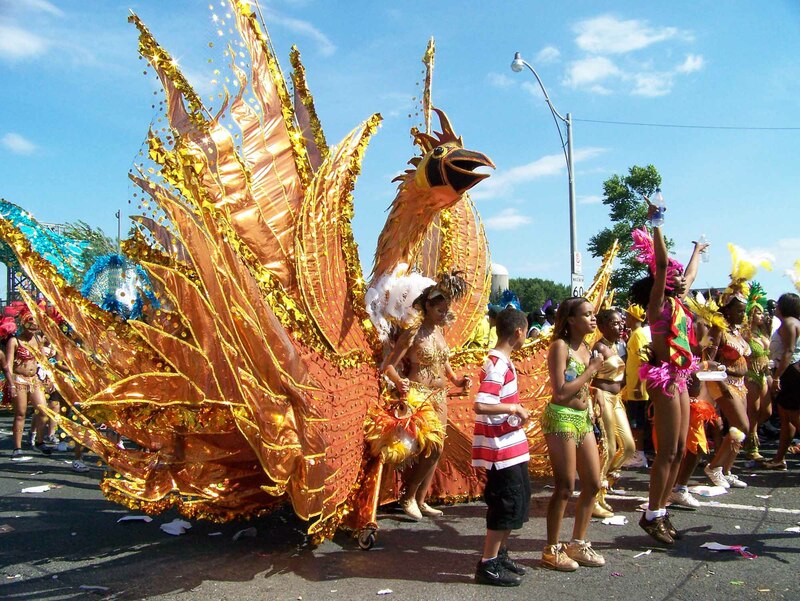 The contribution of Irish traditions and folklore add colour to the rich mosaic of Canadian cultural diversity. Perhaps the best-known Irish tradition is St. Patrick's Day, which is celebrated in Canada with parades, music and more than a few pints in the many Irish pubs across the country. 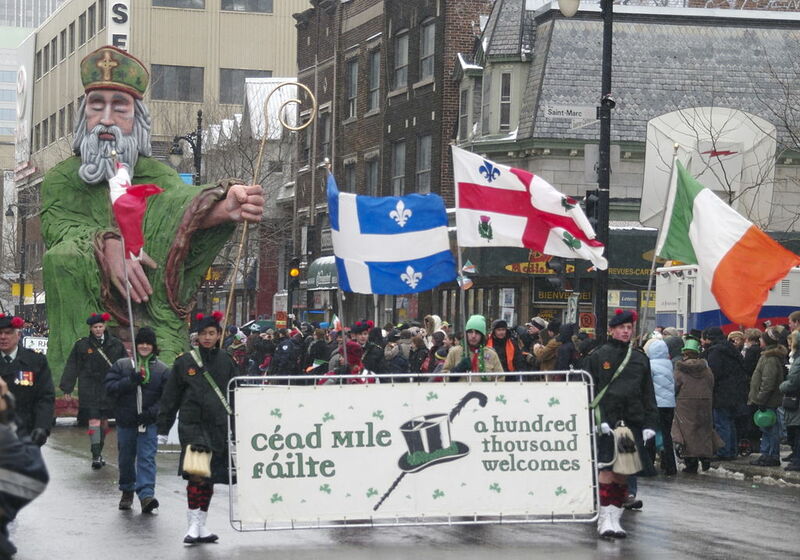 Since 1824 Canadians have been wearin' the green and shivering in the cold at the annual parade in Montréal, North America's oldest St. Patrick's Day parade. The celebration, which rivals Dublin's own, venerates St. Patrick as the embodiment of freedom, forgiveness and love. St. Patrick's story mirrors that of the Irish who came to North America and achieved prominence, for St. Patrick arrived as a stranger, adapted to his new home and developed into a leader who was a beacon of righteousness to the indigenous people. St. Patrick was born Maewyn Succat in Britain in about 385 AD. He was kidnapped by pirates and sold into slavery in Ireland. He was a non-observant Catholic but during his six years of enslavement found solace in prayer. After escaping to Gaul, he assumed the name Patricius and studied with St. Germain. Believing he was called to convert the pagans of Ireland to Christianity, he returned to Ireland. According to legend, Patricius used the three-leaved shamrock to explain the concept of the Holy Trinity (father, son, holy spirit). In a legend that is probably metaphorical, Patricius drove the snakes (pagan symbols) out of Ireland and into the sea to drown. Patricius died on March 17, 461. Since then traditional Irish emblems, such as shamrocks and wearing green, the national colour of the Emerald Isle, have come to symbolize Patrick's saint's day. For Canadians, a commemorative holiday provides an opportunity to celebrate all who struggled, and sometimes perished, trying to make a new life and those who welcomed strangers to a new land. In this sense, on St. Patrick's Day, everybody is, indeed, Irish. Erin Go Braugh!